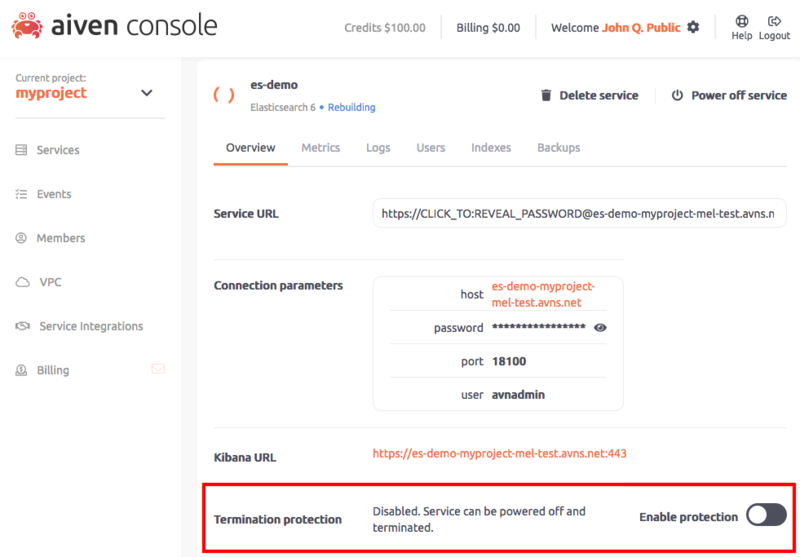 When Termination Protection is enabled for a service, it cannot be terminated or powered down from the Aiven web console, via the Aiven REST API or by using the Aiven command-line client. In order to terminate or power off a protected service, one needs to first disable the Termination Protection for it. Termination Protection has no effect on service migrations or upgrades. Also running out of the free Aiven sign-up credits will still cause the service to be powered down, unless a credit card has been entered for the project.